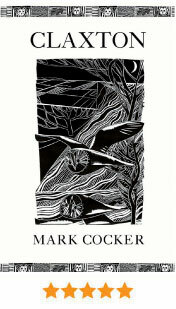 Mark Cocker is one of our best-loved and most respected nature writers. His magisterial Birds And People was an encyclopedia of avian lore spanning 81 countries, but here the focus is more modest: a single Norfolk village. Which is not to suggest that Claxton, Cocker’s home for 13 years, is lacking in colour – a list of species found in the parish runs to 34 pages, and then there’s the famed Norfolk ‘panther’, which has long been said to stalk this neck of the woods. Might the elusive creature actually be a metaphor, Cocker muses, the embodiment of our belief in ‘some unfathomable and residual power’ still existing within the landscape? Such insightful commentary is typical of him, although these short pieces – taken from 12 years’ writing for publications like The Guardian and Eastern Daily Press, and arranged as a chronicle of the country year – are never hard going. At once charming and unsentimental, they educate and delight. When the Georgia Flu strikes the globe, obliterating civilisation, the new world that replaces it is perplexing to the few survivors: there is no internet, no electricity, no planes. This gripping postapocalyptic narrative opens with actor Arthur Leander dying on stage just before the pandemic strikes, and then jumps deftly between scenes before, during and after the outbreak. The steady, almost robotic tone gives the impression of the six main characters being performers in a procession. Trapped in an incomprehensible situation, they are focused on survival and linked by twists of fate. 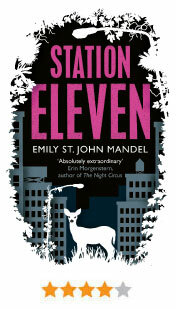 A deeply unsettling and well-crafted tale exploring human relationships in extreme circumstances. The acclaimed author, best known for his history of the Tube, takes us on a fascinating, steampowered jaunt through five of the UK’s most romantic and nostalgic rail journeys. 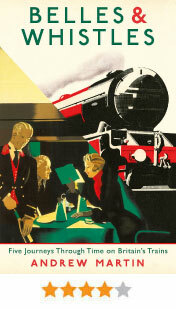 Whether the trains were bound for the continent, the south coast or venturing north like the Flying Scotsman, Martin speaks with passionate authority about each line and what has become of it. His informative and authoritative prose puts the reader at ease, with regular glimpses of his self-assured and warm sense of humour – essential for great anecdotal travel writing. Here is a man who isn’t satisfied just telling you about great journeys: he wants you right there in the carriage with him. Douglas Petersen, a geeky and conventional biochemist, is told by his beautiful and artistic wife Connie that their marriage should end. Before this life-changing event takes place, they decide to take their troubled 18-year-old son Albie on a Grand Tour around Europe. Interspersed with Douglas’s vivid accounts of European capitals, we are treated to a history of his and Connie’s marriage, now on the brink of collapse. What unfolds is a painfully honest account of one man trying to keep his rapidly unravelling family together. 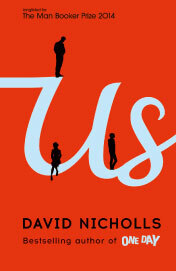 Nicholls has the power to accurately capture the often ridiculous things that children and adults do and say, so that his characters are believable and relatable. You will wince at Douglas’s clumsy puns, feel desperate hope in the face of his attempt to save his marriage, and frustration at the fickleness of human emotion. This hotly anticipated book, by the author of international sensation One Day, has moments of hilarity coupled with pockets of grief and despair – the narrator is at once someone to laugh at and cry with. London and Europe are an apt backdrop for what is not only an exploration of art and science, but also an examination of parenthood, the pain of losing loved ones and the importance of family. A powerful tale that will stay with you long after you finish it. 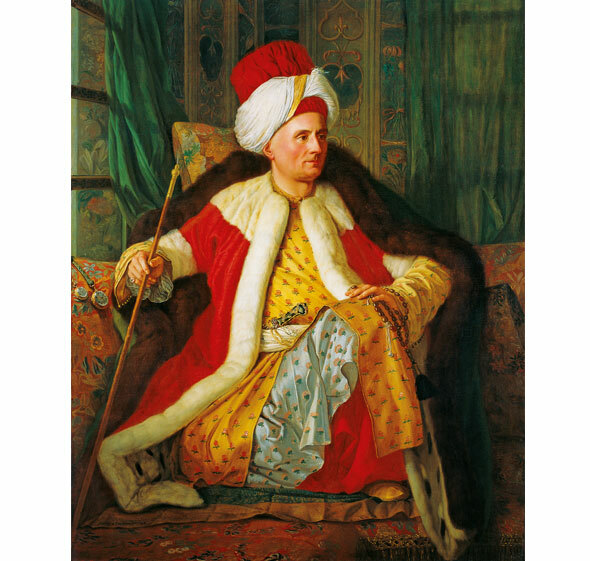 The figure of the Turk underwent a dramatic image makeover in 18th-century Europe: after centuries as feared invader, it became an object of exotic fascination. Fuelled by travellers’ accounts of Turkish lands, a craze for all things Ottoman manifested itself in painting, architecture and applied arts. (Think of Lady Mary Wortley Montagu’s spicy letters and that portrait of Lord Byron in a turban.) From mosque follies to carnival costumes, this splendidly illustrated book examines an intriguing cultural phenomenon. The German-born writer’s second novel explores the tensions between loyalty and independence in the relationship between mother and daughter. When Michelle’s elderly mother Clara is taken into hospital following a fall, a decision needs to be made about whether or not to move her into a care home. Set in contemporary north London, this emotionally charged story examines the everyday experience of juggling a high-profile job, a failing marriage and the care needs of a parent. At a striking pace, the narrative switches between the perspectives of different characters, and the sense of emotional disconnect between them becomes ever more visceral and claustrophobic. Whether your school days were spent on the playing fields of Eton or behind the bike sheds of Grange Hill, chances are you will have experienced the horror of staring at some incomprehensible sum on the blackboard. If you are still recovering from the shock of maths lessons, reading this will reawaken your fears, with a merciless gallop through arithmetic, geometry, algebra and probability, and no attempt to rehabilitate these topics. A spin-off from Caroline Taggart’s bestselling I Used To Know That: Stuff You Forgot From School, it is part of a series that revisits five subjects in greater detail – but it lacks her lighthearted touch. If you enjoyed maths at school, you will already be aware of its appeal. If not, this book will do nothing to nurture it in you. Put your pencils down, children. 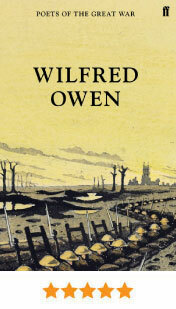 Part of a series to commemorate the centenary of 1914, this edition brings together some of Owen’s much anthologised war poems and others less well-known but equally brilliant – at once harrowing, plaintive and defiant. Stallworthy’s introduction sheds new light on the poet’s life and work. The acclaimed biographer brings his skill to bear on a fictionalised account of his family. A day in the life of the Farquhars revolves around their dying dog in this quietly hilarious dissection of family life that is also laced with sadness. It is easy to forget that the earliest poetry was intended to be performed in public, its rhymes and repetitions acting as an aidememoire. Poetry By Heart: Poems For Learning And Reciting (Viking, £16.99; offer price, £14.99), co-edited and introduced by Andrew Motion, is a call to return to poetry’s oral and communal origins. It brings together the 200 poems available to participants of the eponymous annual competition for secondary schools. Innovative too, with a QR code to access recorded readings on your smartphone, it marks a welcome revival of a valuable lost art. If you feel that poetry is the preserve of a highbrow elite, you are in good company, but you may be mistaken. In Six Poets: Hardy To Larkin (Faber & Faber, £14.99; offer price, £12.99), Alan Bennett, of all people, confesses to having felt intimidated by poetry most of his life. But overcoming this reluctance pays off – as he proves in this guided tour of his favourite poems, with insightful but accessible commentary in his signature conversational style. Poetry touches ‘what is both primitive and noble in us’, says novelist Sebastian Faulks in his foreword to Winning Words: Inspiring Poems For Everyday Life, edited by William Sieghart (Faber & Faber, £12.99; offer price, £11.69). Accordingly, the poems here range from the sublime to the playful, and are unfailingly stirring. These are books you need to keep to hand, like a good brandy, in case you should get upset.